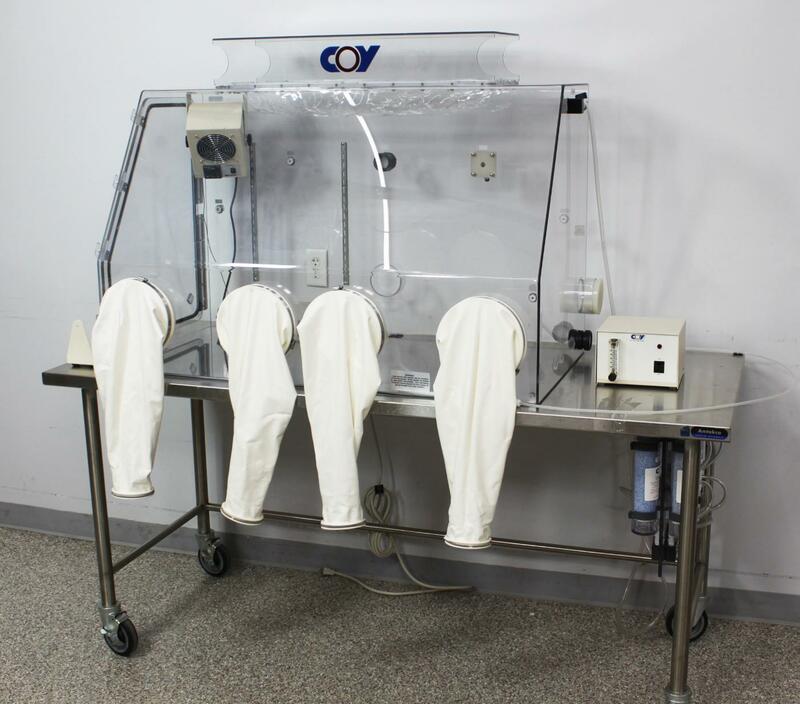 Coy Labs Humidity Control Dry Glove Box 2-Person w/ Desiccant & Dry Gas Purge . New Life Scientific, Inc. Inspected & Tested. Gloveless Sleeves. 90-Day Warranty. With table, this item requires a custom shipping quote. Without table, shipping would be $385 for flat-rate freight, including crating. been inspected by our technical staff to ensure it’s undamaged and ready for operation. to reduce the cost of the dry gas purge system. staining from normal use on the glove box interior floor. or misuse. Everything was verified to be free of damage and functional. accessories for this glove box available. box as a complete humidity control glove box. This glove box can be configured in a variety of ways depending on your needs. *The glove box can be sold with or without the table. choose to purchase the glove box without the table.